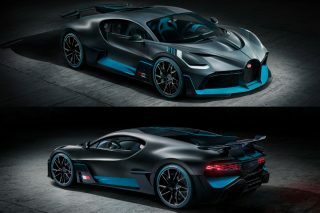 Pushing the boundaries of imagination and creative reinvention, Lego has built for real this non-glued, fully functional and self-propelled Lego Technic Bugatti Chiron, which can fit two people inside and accelerate to over 20km/h. Perfectly recreating the organic design lines of the world’s fastest production car, the iconic Bugatti Chiron, the Lego Technic life-size model pushes the boundaries of what Lego builders imagined was possible to build in Lego elements. The model is the first large-scale movable construction developed using over 1,000,000 Lego Technic elements and powered exclusively using motors from the Lego Power Function platform. Packed with 2304 motors and 4032 Lego Technic gear wheels, the engine of this 1.5-tonne Lego car is generating 5.3 horsepower and an estimated torque of 92Nm. Seen from a distance side by side, the resemblance of the two cars is striking. 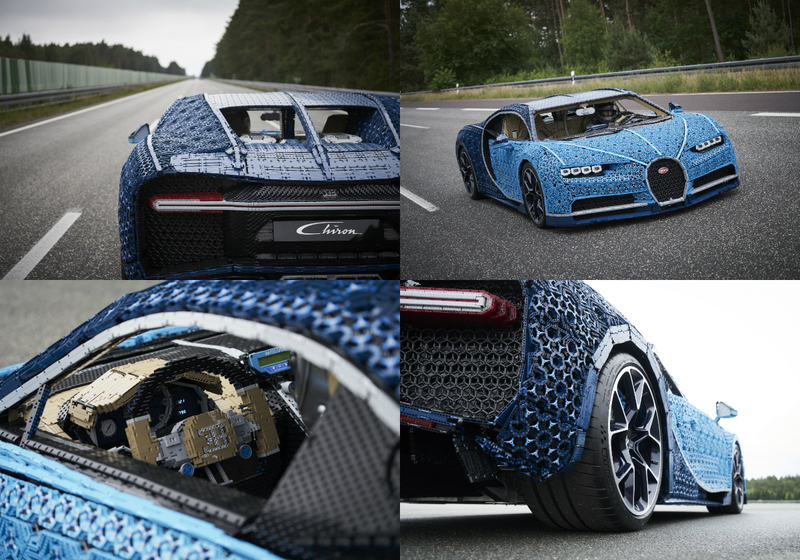 Get closer and you will find a fascinating and complex outer “skin” structure, built of interconnected triangular segments made into a Lego Technic “fabric” designed to mimic the iconic shapes of the actual Chiron. Peek inside and discover that every single detail of the original hypercar has been carefully and precisely recreated in Lego Technic elements – from seats, to dashboard and the steering wheel. 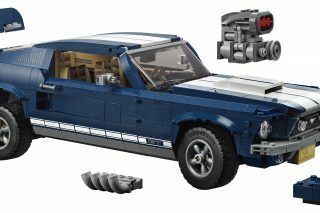 Equipped with a rear spoiler, speedometer, front and back-lights, detachable steering wheel and brake pedal, all fully functional and built from Lego Technic elements, the model is a dream come true for any Lego fan. Building it required the use of 339 types of Lego Technic elements, and over 13,000 work-hours of development and construction. Building this one-of-a-kind Lego Technic life-size hypercar is one part of the task. Testing if it can drive is another. And what better location than the same place where the real Chiron was first tested – Ehra Lessien proving ground in Germany, a unique facility built to handle speed. One weekend afternoon, the Lego model took off and accelerated to everyone’s joy and amazement. And while it may not match the original Bugatti Chiron’s mind-boggling 420km/h speed, the Lego Technic’s power function motors have managed the impressive performance to propel it to a little over 20km/h – ultimately making the “Build for Real” idea truly complete. 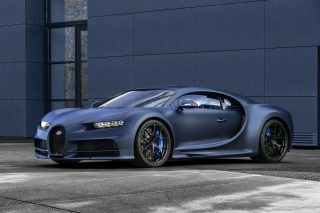 The Lego Technic Chiron was test-driven by Andy Wallace, former racing driver with multiple wins of the 24 Hours of Le Mans and Daytona, as well as many other races, and today the official Bugatti pilot.